Poorly maintained NYC sidewalks can lead to trips, slips, falls and other accidents that result in injury. If you have been injured in a slip-and-fall or trip-and-fall on an NYC sidewalk, our firm can help. The city is aggressive when defending these cases and will attempt to shift blame to the injured person or a nearby property owner. The Orlow Firm has substantial experience helping injured New York City residents seek compensation in complicated injury claims. 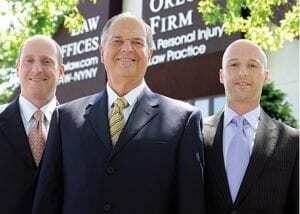 To learn whether you have a potential legal claim for an injury suffered in a fall on a sidewalk, contact us today. Our qualified and experienced New York City premises liability lawyers will offer a confidential and honest assessment of your case.